To Sue or Not to Sue Over Unpaid Pledges? Sometimes, nonprofit organizations sue philanthropists over unpaid pledges. This was recently the case with the Kansas City Art Institute. When a charity pursues this type of legal action, it sends shockwaves throughout the nonprofit and philanthropic sectors. 1. The donor dies with an outstanding pledge and an heir challenges the will. In that case, the nonprofit might need to sue the estate to establish its claim and collect. 2. The nonprofit incurs real expense based on the donor’s commitment. For example, based on a pledge agreement, the nonprofit breaks-ground on a new building. The nonprofit might need to sue simply to survive. In any case, suing a donor should only be done after careful consideration and only when all other options have been exhausted. To sue or not sue over unpaid pledges? That is the question. The answer, offered by Brian M. Sagrestano, JD, CFRE and Robert E. Wahlers, MS, CFRE, is: Avoid the problem in the first place! 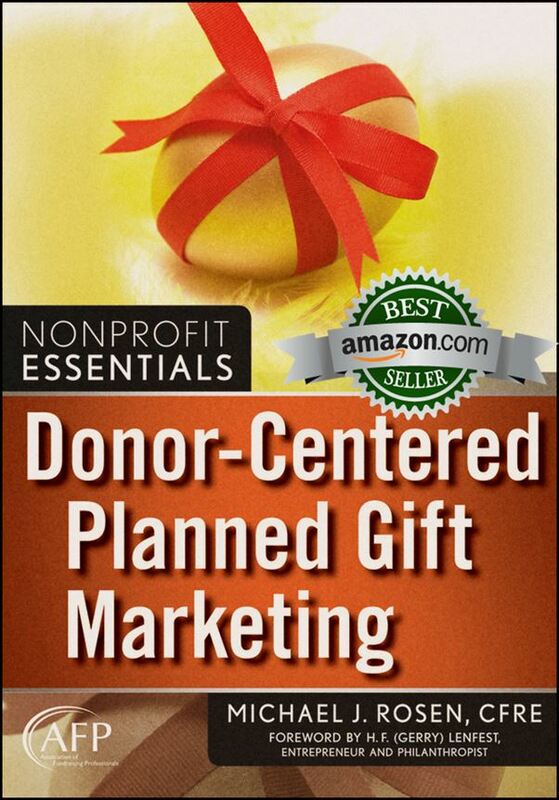 Brian and Robert both generously provided insights and material for my book, Donor-Centered Planned Gift Marketing, for which I won the AFP-Skystone Partners Prize for Research in Fundraising and Philanthropy. 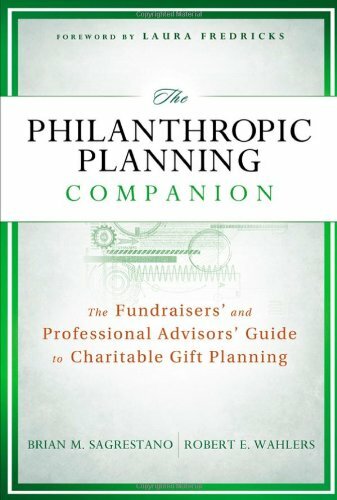 Now, Brian and Robert have written their own book, Philanthropic Planning Companion: The Fundraisers’ and Professional Advisors’ Guide to Charitable Gift Planning, and I’m honored to have been included in their comprehensive volume. The book is part of the AFP/Wiley Fund Development Series. The Kansas City Art Institute recently sued Larry and Kristina Dodge for failure to pay $4 million on a $5 million pledge that was to be used to pay for construction of a new building, according to The Kansas City Star. When the Dodges attempted to defend themselves (rather than hire an attorney they indicated that they could not afford), they made procedural errors and a default judgment was entered against them for the full $4 million due on the pledge. According to The Star, the Dodges made three payments on their pledge before their financial situation was impacted by the Great Recession, limiting their ability to fulfill the commitment. In the article, Larry Dodge is quoted, indicating that he and his wife were in negotiation with the Institute to come up with a payment plan when it unexpectedly filed suit to collect on the pledge. Regardless of the outcome, the reputations of both the Dodges and the Institute are forever harmed. Prospective donors will think twice before making a major commitment to a charity that would sue them to collect on a pledge. Meantime, the Dodges reputation, despite their many years of generous philanthropy, will be forever tarnished. We cannot judge the merits of the Art Institute’s action or the ability of the Dodges to pay on their pledge, as we are not privy to all of the facts of the case. However, it raises a much larger issue about charities and pledges. Lance Armstrong finally got around to confessing that he engaged in illegal doping. He admitted that he would not have won the Tour de France a record seven times if he had not doped. He acknowledged that he has been a bully. He demonstrated to the world that he is a liar. Armstrong’s confession in his interview with Oprah Winfrey did not surprise everyone. However, many people did stand-by Armstrong up until the interview. Some of those folks ended up feeling foolish. I received an email from one of my readers yesterday. Months ago, the reader had responded to one of my earlier posts about Armstrong. The reader had expressed support for the cyclist and said he should not resign from the Lance Armstrong Foundation (LIVESTRONG) board. This reader’s view was shared by 49 percent of those who responded to my survey. In yesterday’s email message, the reader apologized to me for having been “incredibly naïve.” I want this reader, and everyone who was duped by this doper for so long, to know that you are not the one who has anything to apologize for. While I appreciate the gesture, I can find no fault in this reader’s desire to see good in a fellow human being. If Armstrong has made anyone more jaded and less trusting as a result of his lies, it’s just another of the many offenses he’s committed. Unfortunately, it will take us more time to understand the complete fallout from Armstrong’s actions. Will his past connection to LIVESTRONG hurt the nonprofit moving forward? 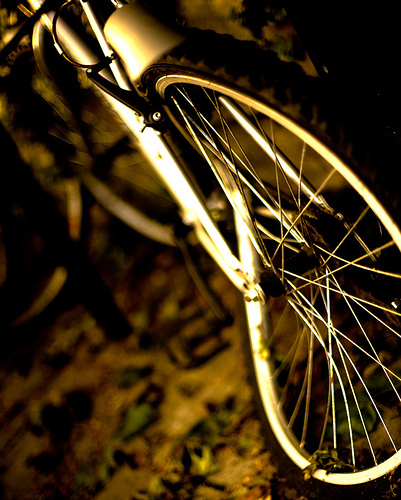 Will LIVESTRONG’s slow reaction time as events unfolded be held against the organization? Now that the world knows that Armstrong is a liar, will that erode the public’s trust in the charity he created? Is MLK Day Just Another Day Off? On Monday, January 21, Americans will celebrate the Martin Luther King, Jr. Day of Service. This is a national holiday rooted in the country’s core ideals. It is an American tradition that when we see a problem, we often will seek to solve it. We are not content to sit back, whine, and hope the government will take care of it for us. Certainly, government has its role. However, at the heart of the American democratic spirit is the notion of private citizen action to help one another and our society in general. Volunteers do much good for our society. They also form an important force that allows our democracy to thrive. On MLK Day, hundreds of thousands of people will volunteer joining the millions who do so throughout the year. This call to service makes MLK Day unique among American national holidays. 43 percent of Americans volunteered in 2011, according to The World Giving Index 2011. The world average was 21 percent. Only four other nations ranked higher than the US for volunteerism in 2011 (Turkmenistan, Liberia, Sri Lanka, and Tajikistan). When is it OK to Surprise Your Donors? Different surprises can produce radically different outcomes. So, before I address my headline question, let’s look at two stories from outside the fundraising world that can provide some insight. Dame Jane Goodall, PhD, the world’s foremost authority on chimpanzees and founder of the Jane Goodall Institute, was invited to speak at an international conference. To welcome Goodall to her hotel room and to provide her with something to snack on, conference planners arranged for a salmon, complete with tasty accessories, to be delivered to her room. The salmon might have been a nice, delicious surprise for a weary traveler except for one important thing: Goodall is a vegan. Rather than being pleased with the surprise, Goodall was offended and disgusted by it. She was definitely not happy. Conference planners could easily have averted the problem with the Goodall-surprise if they had first done a bit of research. 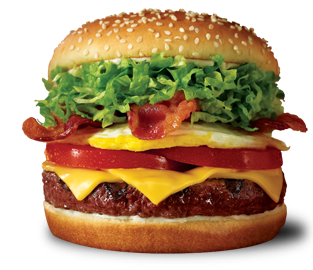 By contrast, the Red Robin gourmet-hamburger restaurant chain has developed a culture that encourages its employees to provide “Unbridled Acts.” Red Robin defines this as “random acts of kindness [employees] bestow upon restaurant Guests and other Team Members.” The acts focus on the target individual and what will make that person happy. For example, ABCNews.com reported that a Red Robin manager in North Carolina surprised Amie and Jason Sivon. During a visit to their local Red Robin, with their two-year-old son, the Sivons chatted briefly with the manager. The manager joked that the meal might be a very pregnant Amie’s last before giving birth to her second child. Red Robin takes Unbridled Acts so seriously that the company even devotes a section on its website to tell the stories customers share in letters, emails, and phone calls. Some stories involve comping a customer. Another story involves staff cheerfully searching through the garbage to find a customer’s lost key card. The stories are varied, but they all involve doing something special and unexpected for someone else. Some are particularly touching. Red Robin knows how to surprise folks in small but wonderful ways. 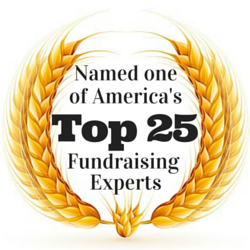 So, when is it OK to surprise your donors and prospective donors? When Congress recently adopted the American Taxpayer Relief Act of 2012, it had an immediate impact on the nonprofit sector. The new law provides some opportunities and challenges. Are you ready for both in 2013?